The second annual South Walton High School (click for map) "Border Wars" tournament kicks off on Friday December 5th. Twenty-four teams are scheduled to participate in the two day tournament, including Jesuit, Rummel and St. Paul's from Louisiana. Alabama powerhouse Vestavia Hills, Georgia's vaunted Cambridge High School, one other team from Georgia and 19 schools from the Florida Panhandle region are also scheduled to compete. East Ascension and St. Paul's participated in the inaugural event last year, but it was the Louisiana Division III state champion Brusly Panthers who ran away with the team title by scoring 168.5 points, 61.5 points ahead of the runner-up, Florida's Clay High School (107 points). 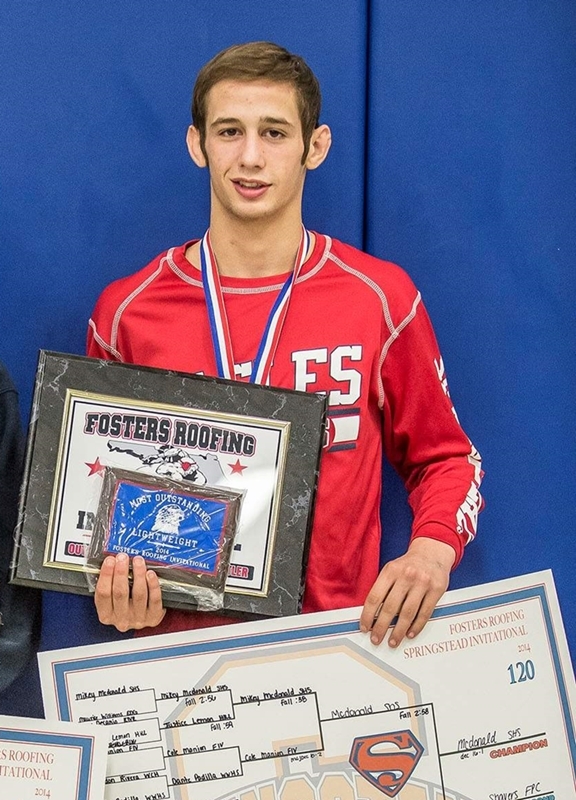 Brusly had champions in Kendon Kayser (also voted the Outstanding Wrestler in the lower weight classes), Noah Landry and Dillon Prejean. 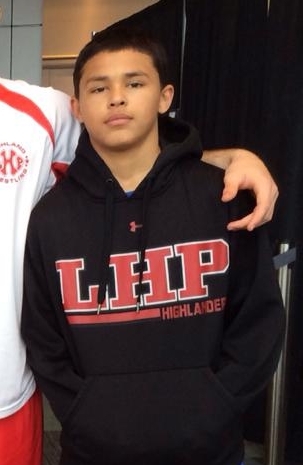 The Panthers had four runners-up in Baret Sanchez, Wyatt Lejeune, Trevor Schermer and Jo'vonte Wheeler. St. Paul's finished 1.5 points behind Clay, taking third place behind a championship by Tanner Leblanc. East Ascension also had a champion in Conor Karwath. 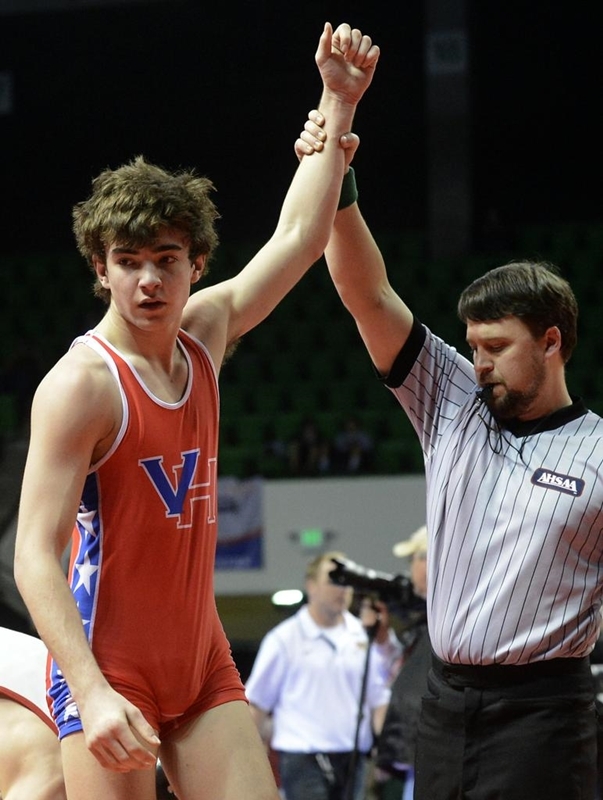 Jesuit and Vestavia Hills may be the favorites, as the 2014 Louisiana Division I runners-up and the Alabama Class 6A runners-up each return seven state placers (1st-6th), each having one state champion. Other top contenders should be Cambridge, the Georgia Class 5A state champions, which returns five state placers including three state champions, and Lake Highland Prep which returns two state champions and a runner-up in Florida 1A. Florida state champions in attendance are Lake Highland Prep (Class 1A¹) Joey Silva and Jake Brindley, while Springstead (Class 2A¹) has Michael McDonald. The home team will feature the Pickren brothers. William Pickren placed second in the 2A¹ state championships in 2014 as a freshman and won this event (as well as the Trygg Memorial) last year. Cody Pickren was a Florida regional champion and also won the Trygg last year, handing Brother Martin's Danny Evans his first defeat until February. 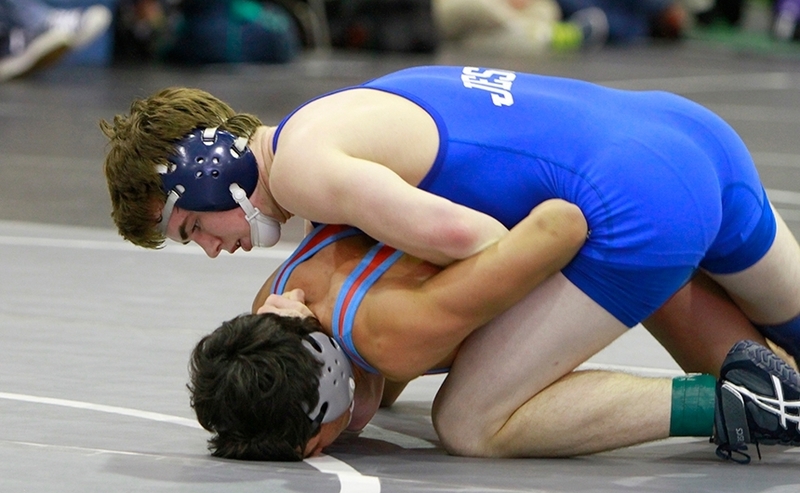 Cody also went undefeated at this summer's Jazz Town Duals, hosted by Jesuit. Daniel Soto, a finalist in last year's Border Wars, is also expected to fare well for the Seahawks. 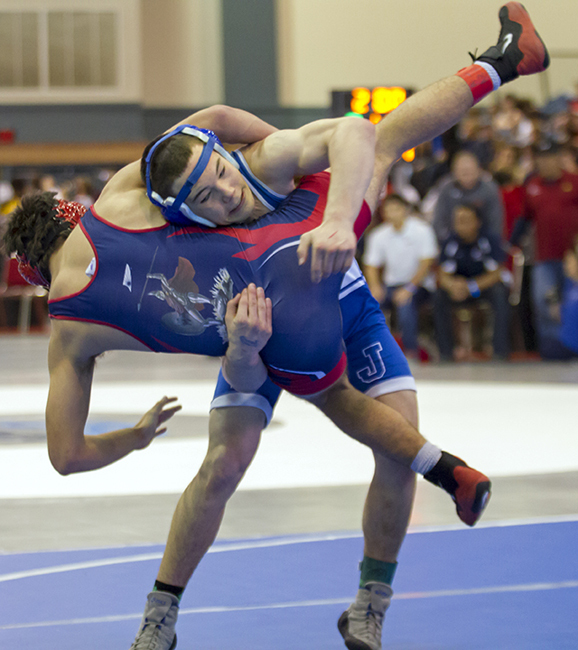 Jesuit will feature Division I state champion Ben D'Antonio and runner-up Guy Patron, Jr., as well as Brody Martin (5th), Jacob Rovira (6th), Will Lafranca (3rd), Griffin Mason (5th) and Dominic Carmello (3rd), who placed for the Blue Jays in the 2014 state championships. 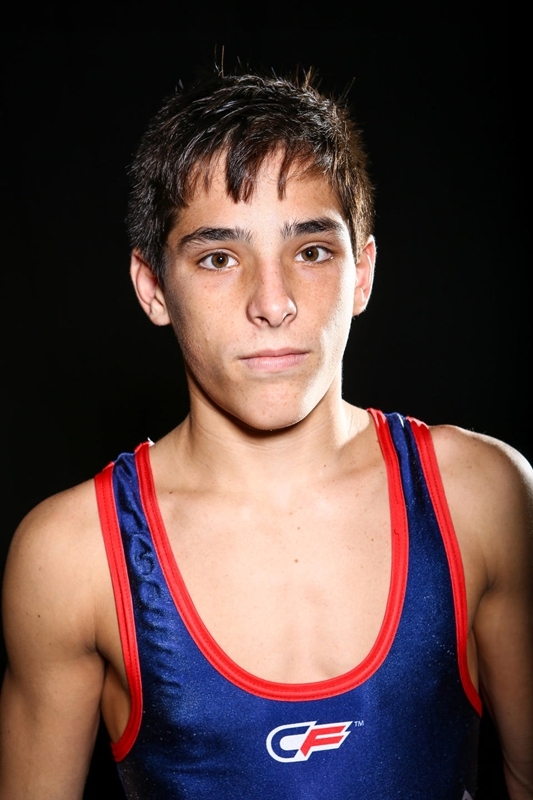 Rummel has Division I fourth-placer Robert Fairchild. 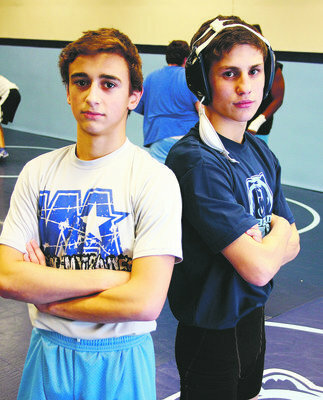 St. Paul's may have a stronger team than last year even without Mr. Leblanc, as five returning wrestlers were one win away from placing at the 2014 state championships. Patron, Jr., Carmello and Fairchild are undefeated so far this season, and combined have won seven Louisiana tournaments in November. 5th @ 145 lbs. Guy Patron, Jr.
¹ Florida's classification numbers are the opposite of Louisiana's in that the 1A schools are the smaller ones whereas 3A schools have the largest enrolments.